I was sitting recently with one of our regional leaders who expressed his desire to be more effective at delegation. He was frustrated by those times when he was burdened by some things he seemed to be unable to delegate. He also expressed some frustration when he had tried to delegate and it didn’t go very well. He turned to me for some advice and help. To start with, I affirmed his leadership sensibility towards wanting to delegate. Delegation is both the art and the skill of working with and working through others. Therefore, it is essential for leaders to be able to delegate. If there is no delegation, then there’s no leadership. Delegation is actually rooted in a virtuous perspective on leadership. In Virtuous Leadership, Alexandre Havard describes how the virtues of magnanimity and humility combine to form the essence of virtuous leadership: leaders become great by bringing out greatness in others. In order to truly bring out greatness in others, leaders must be effective delegators. 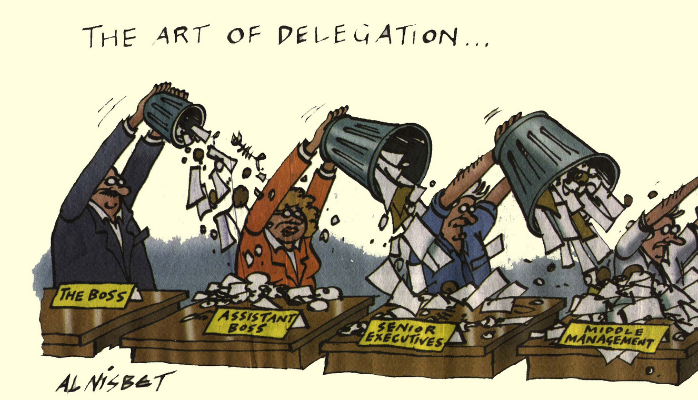 The challenge is to be a delegator, not a dumper. Dumpers are utilitarian in their accomplishment of goals, looking to offload tasks or responsibilities without much consideration given to building up their followers. Delegators look to empower and build up the leadership capacity of others by entrusting tasks and responsibilities. Dumpers want things done for them but still want to maintain authority. Delegators want to help other leaders to learn to do things for themselves and look to transfer authority. Dumpers see the limitations in their followers. Delegators see the potential in their leaders. This distinction also relates to what Stephen Covey describes as the difference between “gofer delegation” and “stewardship delegation”. In The 7 Habits of Highly Effective People, he describes gofer delegation as a leader telling someone to “go for” this or “go for that”. It’s a very directive and controlling approach and communicates little trust or confidence in the other. He contrasts this with stewardship delegation which he describes as an approach focused more on results than on methods. This way offers freedom and creativity within certain parameters and conveys confidence and opportunity to the other. Covey also outlines 5 keys areas to enable effective stewardship delegation. You can read more on this here. Another valuable teacher on delegation is Michael Hyatt, former CEO of Thomas Nelson Publishing, and current Productivity Mentor and Consultant. 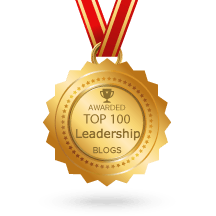 He has written several blog posts and recorded an excellent podcast on some key insights into both the correct perspective on empowering others and the practicals of how to actually practice effective delegation. The Five Levels of Delegation – Insights for whenever you delegate a task: how to make it clear what level of authority you are conferring to others. What to Delegate First – A very interesting tool to assess what to start delegating. What the Bible Says about Leadership and Delegation – Five key principles learned from the story of Moses. The Fine Art of Delegation – A 40-minute podcast that brings together some of the points listed in the articles above, plus more. Great leadership requires great delegation. John Wooden, the most successful NCAA basketball coach of all time, winning ten national championships in twelve years, was noted to say, “Personal greatness for any leader is measured by effectiveness in bringing out the greatness in those you lead.” So it is important to have the right perspective on delegation, one which looks to empower others through a virtuous leadership perspective. So ask yourself this: How well do you delegate and what can you delegate today?